Get an inside look at the hardware-store industry by visiting the 2019 National Hardware Show, May 7-9 in Las Vegas, Nevada. For nearly 75 years, the National Hardware Show has been growing and expanding with new exhibitors, new technologies, new inventors and new experiences. It’s the main attraction for manufacturers to introduce tools and roll out products for the new year. Here’s a product preview of this year’s convention. Since 1923, Estwing has designed and manufactured fine American-made hand tools. The hammers and axes are forged in one piece of solid American steel to last a lifetime. 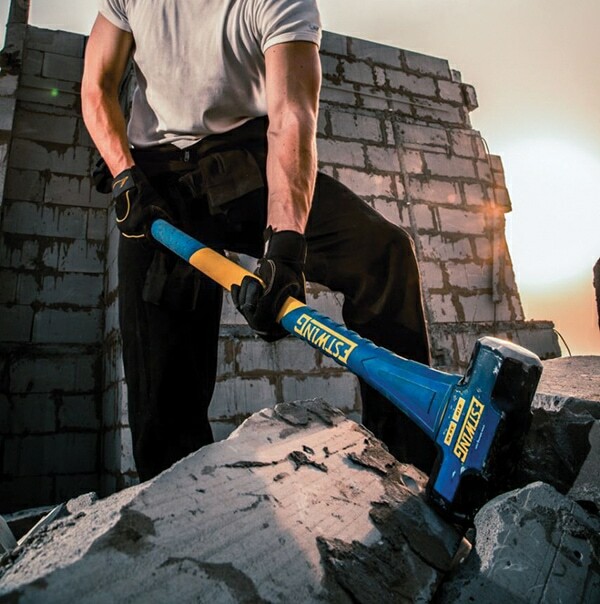 Estwing will introduce a full line of Sledge Hammers & Specialty Hammers. By partnering with GROZ Engineering Tools, the new lineup includes Sledge Hammers, Specialty Hammers, Pry Bars, Alignment Bars and Splitting Mauls. Handle types for the Hammers and Mauls include “Indestructible,” fiberglass and hickory. The Indestructible lineup is a premium handle in quality and price that includes head types for all applications and end-users: Hard Face (50-55 HRC), Soft Face (30 HRC), Copper, Brass, Machinist’s, Tire Bead Breaker and Club. This lineup is touted as the “World’s Strongest Hammer” with its spring steel bar design and vulcanized rubber handle that absorbs impact and vibration. Visit www.estwing.com or booth 7831. 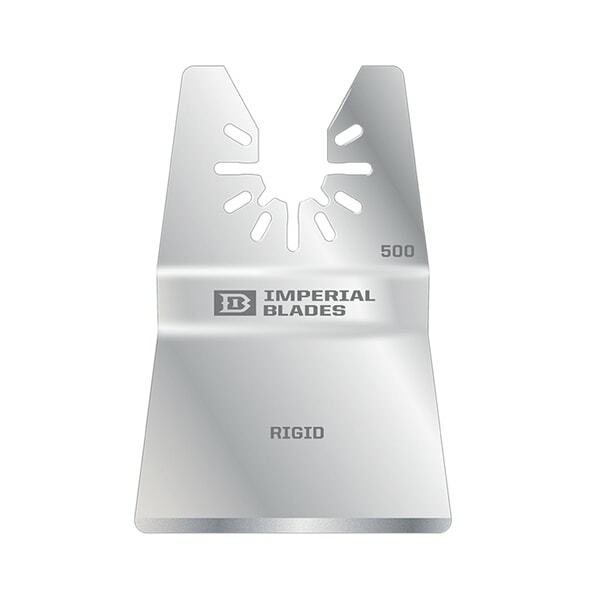 Imperial Blades is an American manufacturer that provides high-quality, innovative Oscillating Multi Tool and Reciprocating Saw blade products. 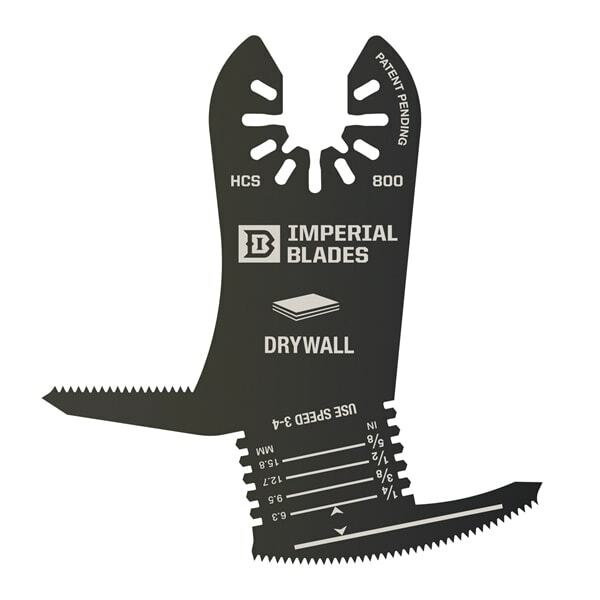 Imerial’s new 4-in-1 Drywall Blade tackles all your drywall projects. The blade features a Dagger Blade for exceptional control with detailed cuts; a Depth Gauge for precise cutting depths; Piercing Tips for easier starts; and Shaver Notches to remove excess with ease. Also available are new sealant cutters and scraper blades: Rigid Scraper, Flexible Scraper, Flexible Mushroom Scraper, Tapered Sealant Cutter, 3-in-1 Multi-Knife Blade, and Straight Sealant Cutter. Visit imperialblades.com or booth 7235. InstaTrim adhesive trim strips have patented, self-centering wings to ensure uniform positioning on any surface. The flexible material comes on a roll for easy use (also available in bulk rolls), and no special tools are needed. You simply peel and stick. The odor-less adhesive remains intact with no curing time necessary, and its long-lasting professional finish is durable and low maintenance. It’s an easy solution for uneven baseboards, imperfect wall corners and sloppy paint jobs. 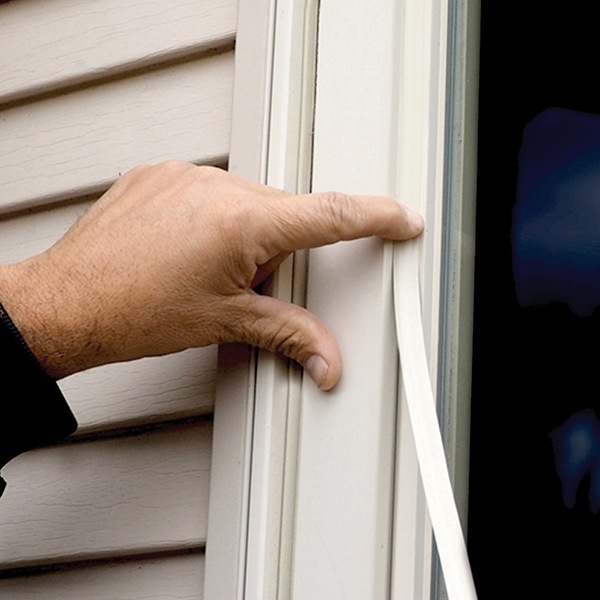 Use InstaTrim instead of traditional caulk for kitchens, bathrooms, doors and windows. Custom colors are available. Visit instatrim.com or booth 5406. Sika Post Fix Fence Post Mix is a two-component, mix-in-the-bag expanding foam for supporting non-structural posts such as fence, mailbox, and sign posts. The simple application only requires the user to roll, mix and pour. It sets in as fast as 3 minutes with high strength and resistance to uptake of water, sealing and protecting the base of post. It is compatible for use in cold conditions without the need for additives. Visit usa.sika.com or booth 4721. Simpson Strong-Tie launched the patent-pending LSSR slopeable and skewable rafter hanger. It’s the first product of its kind designed to allow retrofit installation after rafter systems have been assembled in place, helping contractors accelerate job sequencing for improved productivity. The field-adjustable LSSR features an enhanced flange design allowing for skew adjustments from 0° to 45°. 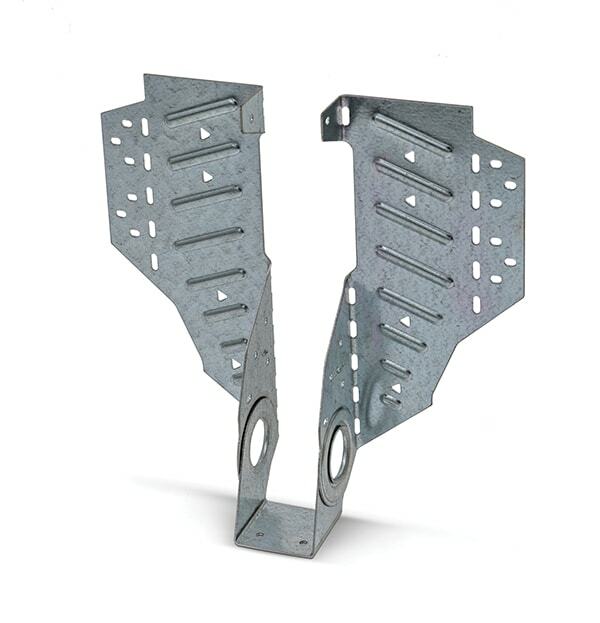 It’s easier to install than predecessor rafter hangers, and features an easily adjusted swivel stirrup that attaches to both sides of an I-joist for a stronger connection. Visit strongtie.com/LSSR or booth 7633. CAMO has engineered a family of deck board clips that are so easy to use, they cut your installation time by more than half. The EdgeClip was designed for traditional 90-degree decking. Unlike typical top-down clips that require pre-installation, you simply attach the legs around the joist, then slide the clip into the groove. No pre-drilling is required. Simply slide the next board into place. 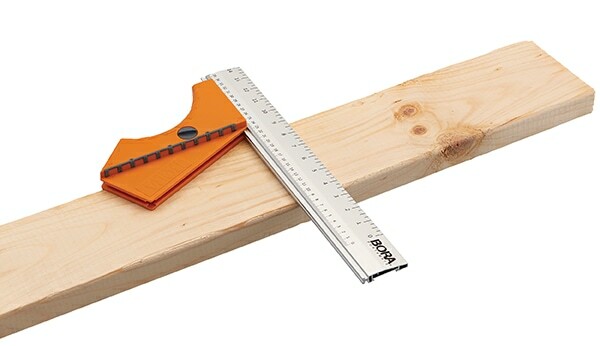 For angled decks, use the EdgeXClip: Simply squeeze the wings and insert in the groove. Attach the next board and drive. You’re then ready to attach the clip using the patented Never-Miss Guide included in every pail. The Never-Miss Guide directs the drill bit onto the screw head for fast installation. Also on display at the Hardware Show is the CAMO Drive—the fastest and easiest way to attach CAMO fasteners to any deck surface. Get off your knees and install decking up to 5x faster. This stand-up tool is so easy to use and versatile. First, you attach your favorite drill to the CAMO Drive. Second, simply select one of three most popular fastening methods, the new CAMO EdgeClips, CAMO Edge screws or the new CAMO Face screws, then attach the corresponding guide and drive. Visit www.camofasteners.com or booth 7849. Gorilla Heavy Duty Construction Adhesive is a tough, versatile, all-weather adhesive. The 100-percent adhesive formula provides a long-lasting, heavy-duty bond. Marketed as “All Surface, All Purpose,” the gap-filling, durable, 100-percent waterproof adhesive formula is perfect for indoor and outdoor projects, holds in 30 seconds, and bonds virtually anything including subfloor, mirrors, trim, drywall, landscaping and more. 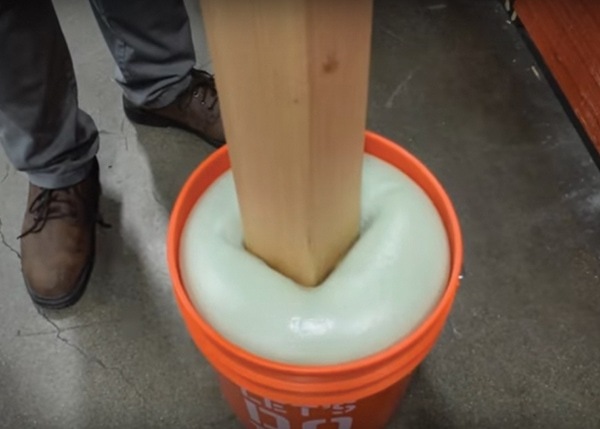 The Gorilla Glue Company has expanded its product line to include Gorilla Tape, Gorilla Super Glue, Gorilla Wood Glue, Gorilla Epoxy, Gorilla Construction Adhesive and Gorilla 100% Silicone Sealant. Visit gorillatough.com or booth 4715. 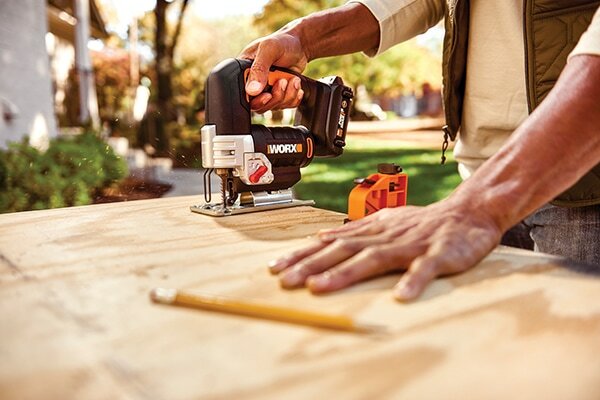 The compact new Worx 20V Jigsaw weighs only 5.3 lbs. and is highly maneuverable. Plus, the saw uses standard T-shank jigsaw blades, which are widely available at hardware stores and home centers. Not only does it cut wood, but accepts a variety of blade types to also cut PVC pipe, plastic, fiberglass, aluminum, copper and thin steel. The 20V jigsaw has a no-load speed of 0-2600 strokes-per-minute (spm) with a blade stroke length of 15/16 in. The saw’s cutting capacity is 3-15/16 in. in wood, 25/32 in. in aluminum and 25/64 in. in steel. Its bevel cutting capacity is 0-45º. 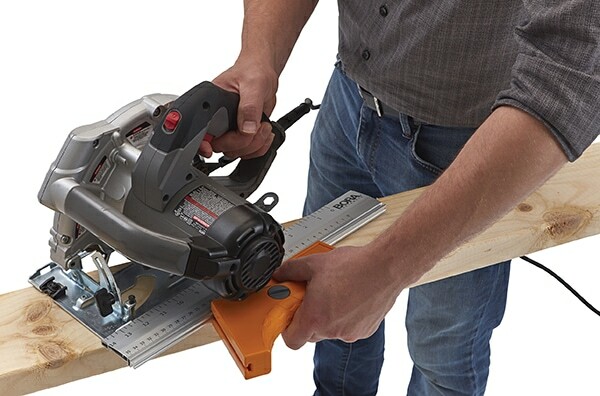 The variable-speed jigsaw is powered by a 20V MAX lithium 2.0-Ah battery. The saw features a three-position switch to choose cutting performance levels from fine to rough cutting with three orbital settings. This cordless model provides unrestricted use and is not hampered by a power cord. The handle has a rubber overmold on top for comfort and control, and an easy-access on/off trigger with lock-off button prevents accidental start-ups. Visit worx.com or booths 7806 and N101. The XDD 34-in. 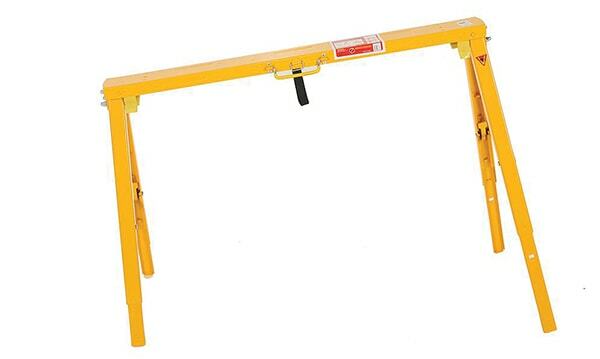 Adjustable Folding Sawhorse is made of all steel construction and finished with a yellow powder-coat finish. The legs adjust from 22 to 34 inches for easy leveling on uneven surfaces, and the entire horse folds down when not in use for convenient transporting and storage. A pair of the adjustable sawhorses will support up to 1000 lbs. XDD Products is an international based company specializing in tool storage and organization with a full line of tool chests and cabinets, and other hardware products. Visit booth 6217. Johnson Level’s most robust and accurate digital level, the JLX 24-in. programmable digital level (model 5700-2400D) has the accuracy and durability required for professional applications. It features pre-programmed ADA compliance, drainage and roof pitch modes that simplify measurements for the most common digital level applications, but it can also be easily customized to meet your needs. This level is easy to use—it features simple, three-button operation, and its dual backlit LCD displays on the top and front put the information where you need it. Both displays automatically invert when you are taking overhead measurements. The level’s IP65 construction provides complete protection against dust and water. It also comes with a non-marring wall grip, and its crystal-clear vials were designed to never fog, leak or crack. The included soft-sided case keeps your level clean and safe when not in use. Visit Johnson level at www.johnsonlevel.com or booth 6323. SafeWorld Int’l. 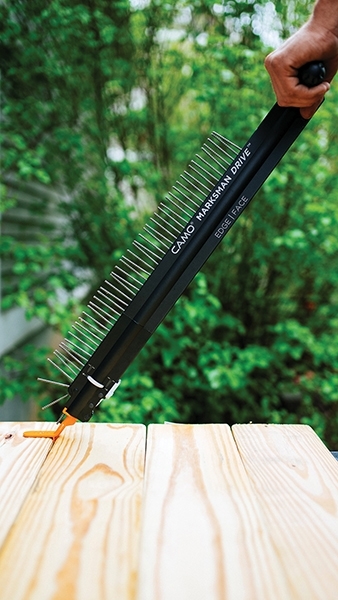 offers the CanGun1 premium spray can tool that features the world’s first FullGrip trigger with a 3:1 leverage advantage. The CanGun1 makes spraying the contents of virtually all standard spray cans of paint, lubricant, adhesives, etc. considerably easier, while providing professional results every time. The patented pistol-grip accessory easily snaps onto standard aerosol spray cans, transforming them into pro-style spray guns with unprecedented control for hours of pain-free spraying. The exclusive ergonomist-tested and arthritis-friendly design also makes it suitable for use while wearing gloves. 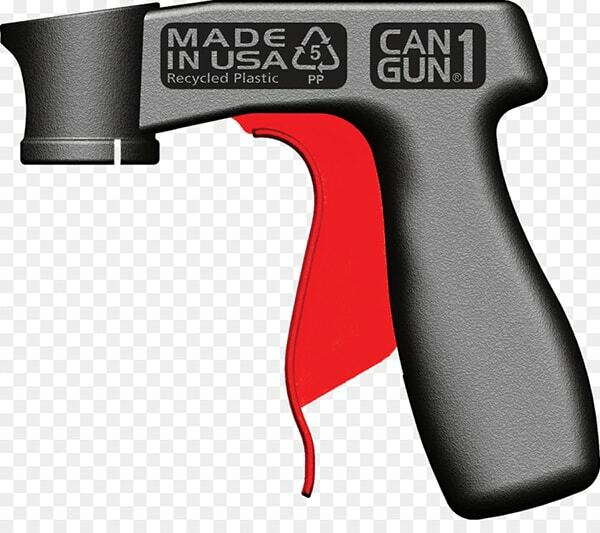 The reusable CanGun1 is made in the USA with 80-percent recycled non-toxic plastic and recyclable packaging. Visit www.cangun1.com or booth 4909. 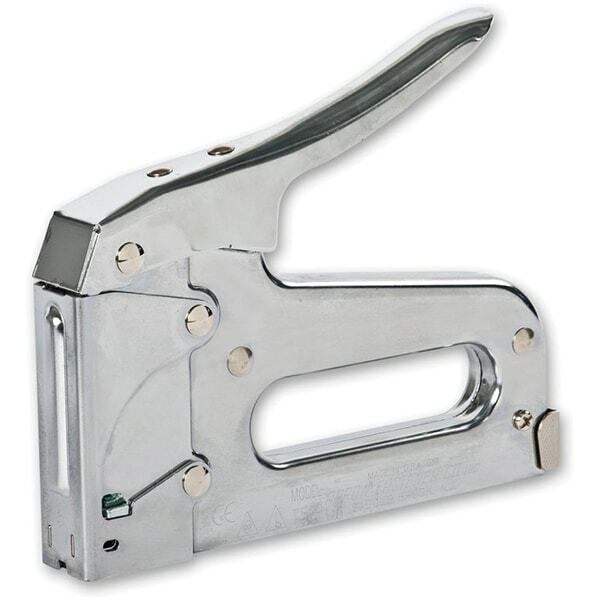 Arrow’s iconic model T50 is America’s best-selling staple gun. Made in the USA, it features an all chromed steel housing, jam-resistant mechanism, powerful coil spring, staple viewing window, and steel working parts hardened in a 1,500-degree furnace. The Arrow T50 has become legendary for its blend of functionality, dependability and sheer ruggedness. Additionally, Arrow Fastener will sell and service four classic American hand tool brands—Arrow staple guns and rivet tools; clamp products from Pony and Jorgensen; and Goldblatt masonry, concrete, drywall, tile, and painting tools. Visit www.arrowfastener.com or booth 6608. Alton Industries will exhibit the DeWalt line of wet/dry vacs and air movers, as well as the new Stanley 3-Gallon Wet/Dry Vac (SL18910P-3). 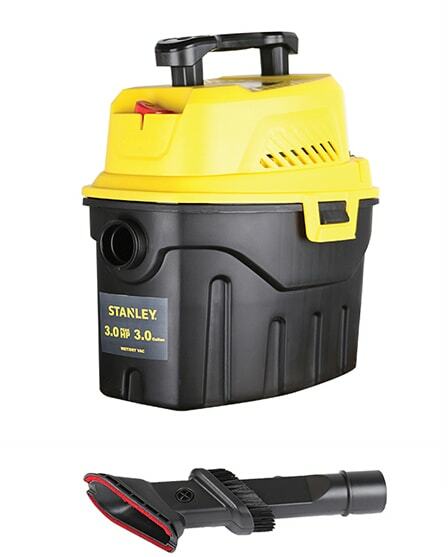 The new stanley model delivers 3 peak horsepower, a 3-gal. poly container, top handle for easy carrying, and on-board attachments. Accessories include a 1-1/4-in. x 4-ft. hose, a 3:1 crevice nozzle, gulper nozzle, foam filter, and a non-woven filter with clamp ring. Visit altonindustries.com or booth 6220. 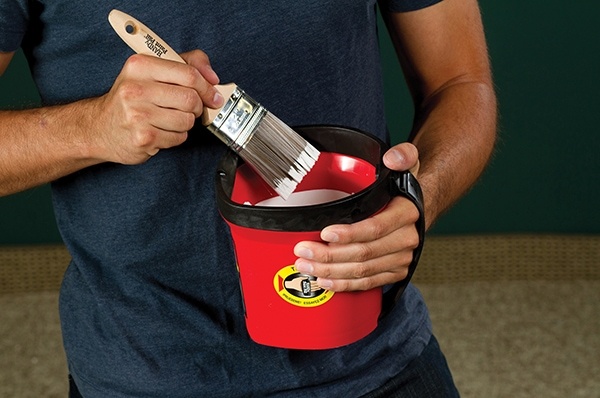 The HANDy Paint Pail 2500-CT was designed to make your painting projects a breeze. Ruggedly constructed for both professional and do-it-yourself painters, the HANDy Paint Pail will withstand years of use, is solvent-resistant, and works with any paint or stain. With its disposable liners, the HANDy Paint Pail is easy to clean and makes wash-ups fast and effortless. Features include a magnetic brush holder, adjustable strap and paint scraper. Visit www.bercomincorporated.com or booth 5330. The paint supply company Trimaco offers a full line of products for comprehensive protection of your next remodeling project. Rather than simply draping a sheet over something to protect it, the best practice is to seal the edges to prevent dust, debris or paint from getting where you don’t want it. 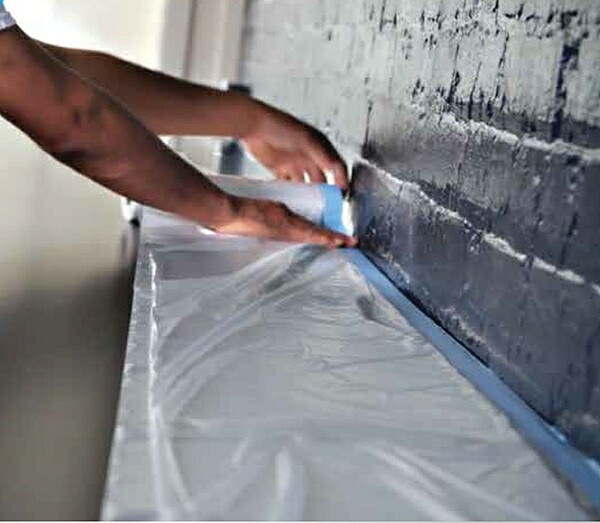 Trimaco’s Easy Mask Tape & Drape Pre-taped Masking Film can protect areas where you want to catch drips and overspray. Tape is pre-applied along one edge of a high-density masking film, and a special coating helps it cling to the protected surface—even in windy conditions or with spray applicators. For larger jobs, you can apply Tape & Drape masking film with the Easy mask QM5000 PRO, a handheld tool that makes it fast and easy to apply rolls of the film. Also available are drop cloths, folding mats and dust-containment systems to protect the home during remodeling jobs. Visit trimaco.com or booth 4634. Entering the market in 2019 is Striker’s brand new FlexIt Headlamp, which eliminates the tunnel vision associated with traditional designs. Side-mounted flood LEDs allow the user to not only light up their focal point, but to also illuminate their entire peripheral view. Direct that light exactly where you want it with the positionable spotlight that rests in the comfort-fit head strap. The FlexIt Headlamp joins the already extremely popular FlexIt Series of hands-free lighting as another great option for a more versatile light. 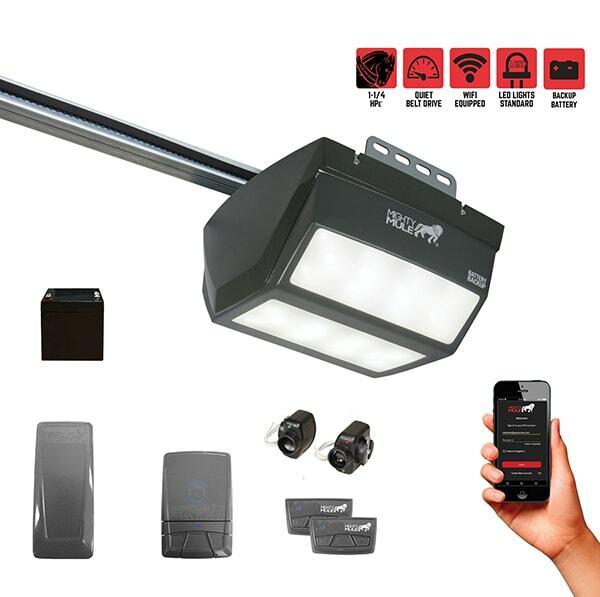 Stop by booth 7525 to check out the new FlexIt headlamp along with the full line of innovative best-sellers, from the TriLight Motion Activated Ceiling Light to the Ultra-Sonic Garage Parking Sensor. Visit strikerconcepts.com. Forney Industries has been a leader in the metalworking industry for over 80 years. This year at the National Hardware Show, Forney’s booth will spotlight auto-darkening welding helmets, abrasives, and one of the company’s recent innovations; the Forney Easy Weld line of machines. Carefully designed for any do-it-yourselfer, auto enthusiast, metalwork artist or hobbyist, Forney created the Easy Weld line with the hope that anyone can feel like an expert welder, even when they’re just beginning. The Forney Easy Weld 140 FC-i is a particularly notable machine. 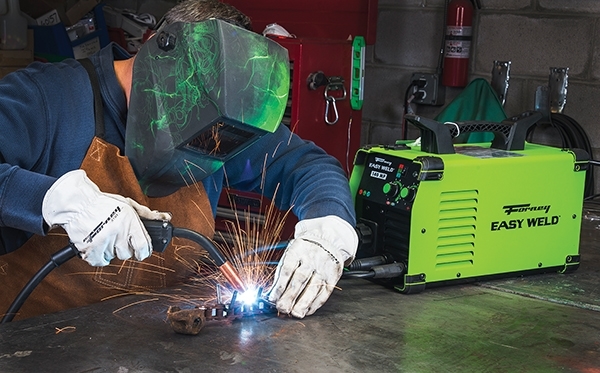 This welder is a flux-cored inverter machine, portable and incredibly user-friendly. Forney’s booth will also feature the Forney Easy Weld 20 P Plasma Cutter. The 20 P is easy to use, generator-friendly, and features drag torch technology for precise and aesthetically pleasing cuts. Another thing worth seeing is Forney’s top-of-the-line abrasive products. Among the most popular products in this category are the double-sided flap discs, which not only save users time and money, but simplify the finishing process by allowing two process applications to be completed at once. Visit booth 7425 or www.forneyind.com. Howard Products improves the process of creating chalk-style paint by using a unique Powder Additive for turning any water-based paint into a durable chalk-style paint. The Chalk-Tique Powder Additive enables anyone to make chalk-style paint from any leftover paints they have on hand or any desirable paint color from their local home-improvement store. Once mixed with water and then added to paint, the chalk-style paint is easy-to-use, durable, and can adhere to almost any surface. 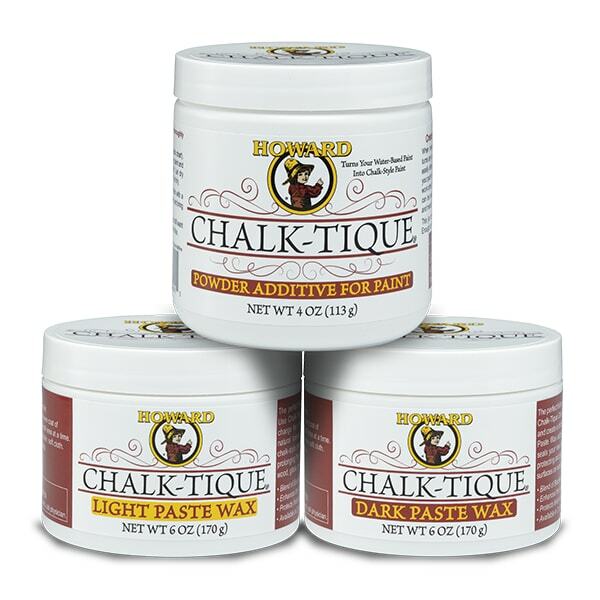 Howard Products has also created a Light and Dark Chalk-Tique Paste Wax. This uniquely blended paste wax is the perfect follow-up to any project that has been chalk-painted. The Dark Paste Wax will slightly darken the paint and help create a “distressed” looking, aged patina. The Light Paste Wax helps seal, finish, and protect the newly painted surface without darkening the paint. Chalk-Tique Paste Wax adds a natural-looking satin wax finish that helps protect and beautify your new chalk-style painted surface. Visit booth 5519 or www.howardproducts.com. BORA Portamate introduces its new QuickCut circular saw cutting guide, an all-in-one tool designed to achieve precise measurements and cuts each and every time. The QuickCut is billed as “the Swiss Army Knife of cutting guides,” with four preset angles for guiding your circular saw in making accurate and repeatable cuts for any project. It includes both Imperial and Metric rule, allowing for a quick switch in measuring methods without searching for a separate tool. 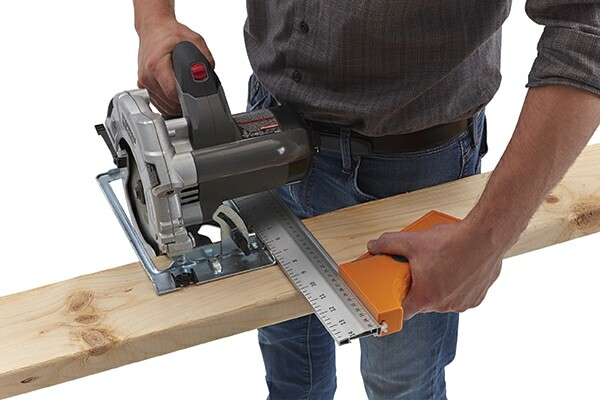 Crafted for all types of projects, the QuickCut measures 14 inches on the guide rail for making long, straight cuts. It’s built with a strong aluminum extrusion and a large grip handle for extra comfort and precision. Save project time with four common preset angles and conveniently placed ruler marks. Visit www.boratool.com or booth 8258. The new Might Mule Automatic Garage Door Openers are easy to install and simple to manage from anywhere. With super-quiet belt operation, a slim design, and Mighty Mule’s easiest setup ever, the new openers present a good-better-best selection with several new enhancements. Each new opener incorporates a slim design enabled in part by the space-saving built-in LED lighting, and the lighting is protected with a lifetime warranty. Additionally, Mighty Mule’s smart technology allows for remote control anywhere with a Mighty Mule MMW200 wall station, and is compatible with Amazon Alexa, Google Assistant, and IFTTT control. The top-of-the-line MM9545M model includes one MMW200 wall station, two transmitters, a MMK100 Keypad, 7-ft. Belt Rail, and built-in battery backup. It also includes a 1-1/4 HPe (horsepower equivalent) DC motor with a steel reinforced belt drive for super quiet operation. Visit www.mightymule.com or booth 6631. 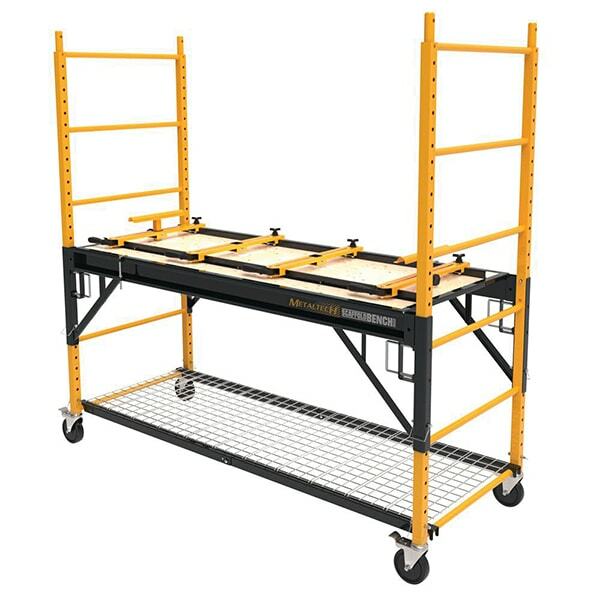 The new 4-in-1 Multi-Purpose Scaffold Bench from MetalTech (sold exclusively at the Home Depot) has large locking casters that enable you to roll it right where you need it and adjust the height of its wooden work platform up to 6 feet. The bench has an 1,100-pound capacity, and the deck allows for a stable footing and a large standing space of 29-by-72 inches. When configured as a workbench, the included rails and attachment brackets can be used to install any brand of miter saw or table saw, along with accessory outfeed roller supports that attach to the end of the bench. The bench can also be configured as a two-shelf storage unit for the garage or workshop. The included storage shelf includes a ventilated metal grid and side braces (200-lb. capacity) that can be adjusted to any rung height along the ladder sides. Weighing 161.5 lbs., this durable steel bench is solidly built and easy to assemble, requiring no tools. The shelves adjust with handle-pull cotter pins, which simplifies assembly and day-to-day operation. Visit www.homedepot.com or booth 5624. The Yardforce YF120vRX 120v Lithium-Ion technology produces the power and run-time of gas engines without noise and emissions. Check out the 22-in. 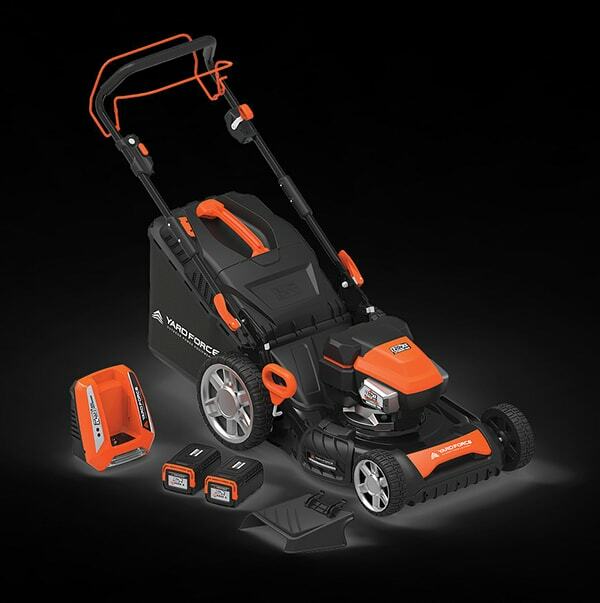 self-propelled 3-in-1 mower, complete with two batteries and a fast charger. Yardforce also offers cordless innovations in pressure washers and blowers for greater productivity and ease-of-use. Visit booth 12629 or www.yardforceusa.com. 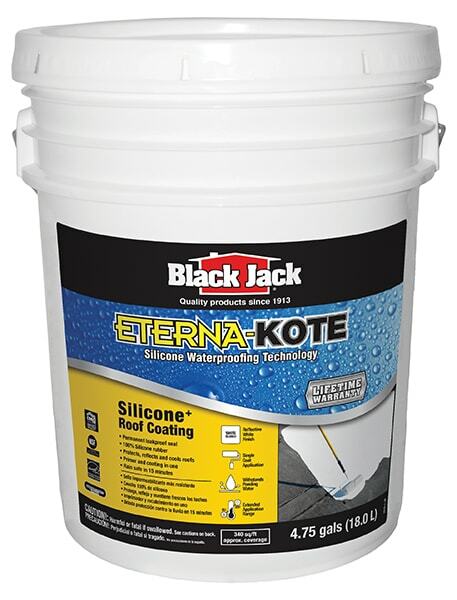 Black Jack Eterna-Kote Silicone Roof Coating is formulated to deliver superior waterproofing protection to your roof surface. Simply put, Eterna-Kote Silicone holds up in areas where other coatings fail, even withstanding ponding water. This high solids, rubberized coating forms a chemical bond to the roof surface, providing incredible adhesion and long-term waterproofing protection. Although Extreme DIY’ers appreciate a good challenge, application is easy. Eterna-Kote Silicone is quick setting and rain safe in 60 minutes. Eterna-Kote can also be applied in a wide range of temperatures for a broader application window, giving you more opportunities to get your coating project done. Black Jack Eterna-Kote dries to a bright white finish, delivering excellent UV resistance and keeping the roof surface cooler. Additional benefits can include reduced interior temperatures and less stress on HVAC systems. Eterna-Kote Silicone offers a lifetime warranty. For more information about Black Jack Eterna-Kote Silicone Roof Coating or Black Jack Silicone Roof Patch for repairs, Visit www.blackjackcoatings.com or booth 5021.